Quantum theory is weird. As Niels Bohr said, if you aren’t shocked by quantum theory, you don’t really understand it. For most people, quantum theory is synonymous with mysterious, impenetrable science. And in fact for many years it was equally baffling for scientists themselves. 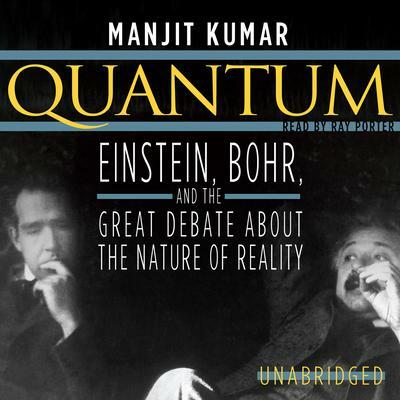 In this tour de force of science history, Manjit Kumar gives a dramatic and superbly written account of this fundamental scientific revolution, focusing on the central conflict between Einstein and Bohr over the nature of reality and the soul of science. This revelatory book takes a close look at the golden age of physics, the brilliant young minds at its core, and how an idea ignited the greatest intellectual debate of the twentieth century. A well researched history of the development of quantum mechanics. An equally fascinating feature of this book is its description of the work that led to an understanding of what atoms are and why there is a periodic table of the elements.